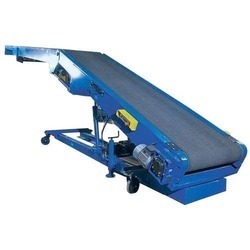 Our range of products include mobile truck loader and truck loading conveyor. We are one of the prominent manufacturers and suppliers of a unique range of Mobile Truck Loader. Our offered ranged products are available in customized specification as per the requirements. We fabricate these products by using premium grade raw material and advanced technology. 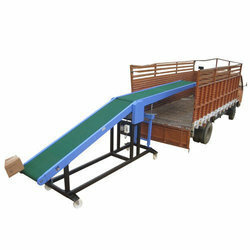 We are engaged in manufacturing, trading and supplying a premium quality range of Truck Loading Conveyor. It is precisely manufactured by our skilled professionals making use of the optimum quality of raw material that is procured from the authorized vendors of the market. Our offered loading conveyor is tested against different parameters under the guidance of our quality examiners to ensure its sturdiness at our clients' end. Furthermore, clients can get it from us at industry leading price.